A 50 years old north Indian cuisine restaurant is undoubtedly one of the best choices for foodies. An experienced chef, attentive staff and charming environment are some of the reasons behind the success of this food junction. Menu Recommendation: Bhindi Mushroom (Veg. ), Paneer Makhani (Veg. ), Murg Kabab Masala (Chicken), Chicken Tikka Biryani, Rogan Josh (Non-Veg. ), Fish Tikka and Rajdoot Chicken. Itihaas restaurant is the recipient of Cobra Good Curry Awards and British Curry Awards. 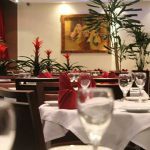 It is truly traditional Indian restaurant located in the heart of the city. 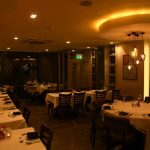 Well decorated interior, fantastic ambiance, an award-winning chef and traditional Indian food these are the key features which make it one of the best food junctions in the city. Menu Recommendation: Reshmi Lamb Tikka, Goan Prawn Curry, Laal Mirch Rogan Josh, Shahi Palak Paneer (Veg. ), Prawns Biryani, Kulfi Trio Platter (Dessert) etc. Established in the year 2002, “Lasan” is known for their seafood specialty. 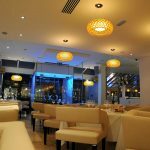 If you are tired of restaurants because of their fussy service, then this is the food destination for you in Birmingham. Contemporary Indian food is attracting Indian food lovers in huge number. This list of best Indian restaurants in Birmingham will be incomplete without “Jilabi”. A perfect place to celebrate the occasion with an authentic taste of India. A wide range of delicious Indian food served in the charming environment makes your dinner special. Once you taste their exquisite food, I guarantee you will start to love this Indian restaurant. Menu Recommendation: Seekh Kabab, Lamb Jalfrezi, Chicken Rasam, Chicken Tikka Balti, Bombay Aloo, Bhindi Dopyaza, Saag Paneer etc. Address: 2065 Coventry Road Sheldon, B26 3DY, Birmingham. 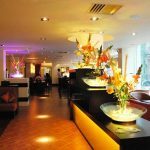 Milan is one of the most visited Indian restaurants present in the Birmingham city. This more than 20 years old food junction is the great place to taste traditional Indian cuisine. If you are in search of budget hotels then this will be a good choice for you. Quality food at the economical price is their specialty. Menu Recommendation: Old Delhi’s Hot Tikka Chat, Almond Pears, Barbequed Prawns, Chicken Korma, Lamb Madras, Dum Ka Murgh (Chicken), Chicken Shaslik etc. Asha’s restaurant is owned by legendary Bollywood singer Asha Bhosale. A wide range of North Indian to South Indian dishes are the specialty of Asha’s restaurant. 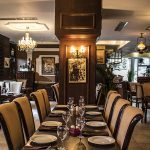 Great attentive staff, Unique dining experience, Rich taste, Appealing decor attracts the crowd in large number. If you are fond of Indian curry then this place is for you. Menu Recommendation: President Platter, Dakshin Seabass Tikka, Chicken Chettinadu, Crab Balchao, Jaipuri Chicken Tikka, Lamb Saag etc. 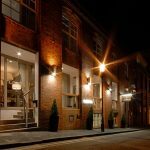 Address: 12-22 Newhall St, B3 3LX, Birmingham, United Kingdom. Pushkar is popular for its unique North Indian and Punjabi cuisine. If you are in search of Halal chicken then Pushkar is the right choice. This is the food junction where you can spend some quality time with your dear ones. Pushkar is honored with English Curry Award, British Curry Award, Best of Broad Street Award. Menu Recommendation: Lamb Seekh Kabab, Murgh Korma (Chicken), Qasoori Methi Murg (Chicken), Punjabi Nulli Gosht (Non-Veg. ), Achari Gosht (Non-Veg), Awadhi Gosht Korma, Goa Fish Curry, Anglo Indian Duck Masala, Khatey Aloo (Veg), Punjabi Choley (Veg), Baingan Masala (Veg) etc. Address: 245 Broad St, B1 2HQ, Birmingham, United Kingdom. Mr. Idly is an ultimate choice for south Indian food lovers. Traditional south Indian dishes like Idly, Dosa, Fish Curry, Vada are attracting foodies in large number. You will get delicious food at the reasonable price. Apart from other Indian restaurants available in the city, Mr. Idly successfully holds the tag of the best south Indian restaurant in Birmingham. Menu Recommendation: Chettinadu Chicken Curry, Lamb Tikka Masala, Chicken Jalfrezi, Pepper Chicken Curry, Fish Molee, King Prawn Curry, Crab Masala, Mutton Varuval, Mutton Chukka, Chicken Pepper Fry, Mysore Masala Dosa, Chef Special Kari Dosai tec. Address: 169-171 Hagley Rd, B16 8UQ, Birmingham, United Kingdom.